takes a proven, hands-on approach to your case. When you are faced with misdemeanor or felony charges, it can be bewildering and scary. Your liberty and your future are all on the line, and you are up against a criminal justice system that has stacked the odds against you. 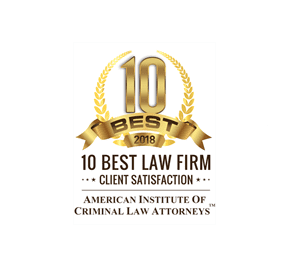 At The Christopher P. Cavazos Law Firm, PLLC, we understand what is at stake for you, and we are ready with insider knowledge of the prosecution to help you navigate every step of the criminal justice system. Whatever criminal accusation you face, we can provide powerful defense and tenacious advocacy. Don’t hesitate to see how our McAllen criminal defense lawyer can represent you anywhere in Hidalgo County and beyond. Our McAllen attorneys directly handle each case we taken on, so you can rest assured you are getting the fully qualified help you need. Our attorneys provide invaluable insights from their years of experience, including that of working as a prosecutor. With our legal team on your side, you will be prepared at every step of your criminal defense or family law case. 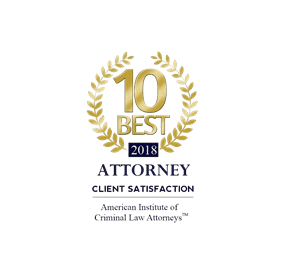 If you are seeking a legal team that is well-prepared to exploit any weakness in the prosecutor’s or opposition’s case, look no further than The Christopher P. Cavazos Law Firm, PLLC. We will work tirelessly to build the proactive defense or compassionate advocacy you need. Criminal defense is not the only area of practice we have experience in. We are also true advocates on behalf of those enduring family law issues, we understand few things are quite as painful as suffering through family issues you have no control over, which is why our trusted legal team will work tirelessly to resolve these concerns as quickly as possible. Regardless of the nature of your concern, we have the tools and resources necessary to deliver you the most positive results possible. Whether you are facing divorce issues, child custody or child support concerns, or any other matters involving your family, you won't regret turning to our team at The Christopher P. Cavazos Law Firm, PLLC for legal counsel, guidance, and support you can rely on throughout the entirety of your case.